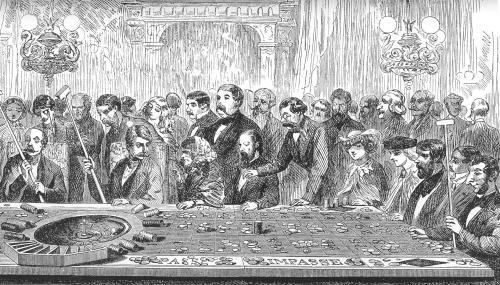 This period image shows roulette play at Bad Homburg, one of the most important casino spa resorts on the 19th century. Roll the Bones: The History of Gambling has plenty of fascinating detail about the evolution of European spa casinos like Bad Homburg. The latest in my series of chapter-by-chapter summaries/teasers, chapter 2. Enjoy!